If you’ve been in the Norris C-store lately, you might have noticed a new item on the counter when you check out. 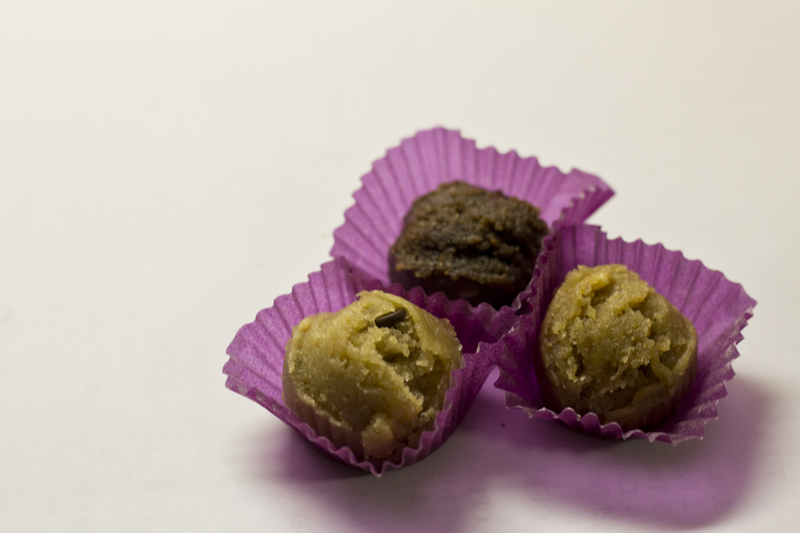 That package of three cookie dough balls is called “For Real Dough,” and it’s a product recently launched by Northwestern’s own Michelle Schechter. 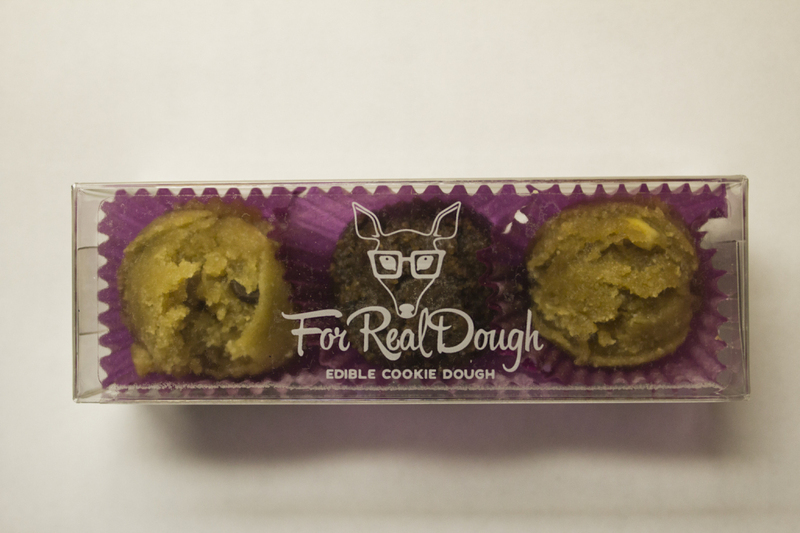 What exactly is “For Real Dough?” It’s a vegan-friendly, edible raw cookie dough that comes in three flavors: chocolate chip, cookies and cream and peanut butter heath — and it doesn’t need to be refrigerated. Basically, it’s the perfect late-night snack. Senior Michelle Schechter was in an engineering entrepreneurship class when a group project to design a product fell into her lap. Her group’s first idea was a dessert restaurant, but they decided that before they started, they needed to conceptualize a star menu item. “Almost immediately we started talking about these memories of sneaking cookie dough off the spoon when we were younger, when we would bake with our families,” Schechter said. They decided to try a cookie dough dessert, with the sense that they wanted a product that was familiar and that tied people together. So they decided to sell some of the dessert to see if people would want it; within five minutes, all the cookie dough desserts were gone. It didn’t take Michelle’s group long to decide that the edible raw cookie dough was their true product, not the restaurant. At the presentation and grading, investors loved the idea and offered their support, which got Michelle thinking, why not take their delectable dessert beyond the classroom walls, and grow it into something much bigger? “I realized we had something real and special,” she said. Michelle took the idea and ran with it. Over the summer, she met with President Shapiro and other members of the administration to pitch her idea. With President Shapiro’s approval, and a Food Manager Certification from Cordon Bleu, “For Real Dough” is beginning to spread around Northwestern. Now Michelle — with a little help from some friends — mans the product website, coordinates with the Sodexo dining service and spends her Mondays making cookies in the Norris kitchens. Like many seniors Michelle doesn’t have her future pinned down perfectly quite yet, but looks to further the For Real Dough enterprise to specialty catering at weddings, bat mitzvahs, parties and other universities. She’s even planning to add more yummy flavors like dark chocolate chipotle, sea salt caramel and red velvet. If that’s not enough to get you running to the Norris C-store, I don’t know what is. If you would like more information on ‘For Real Dough,’ want to get involved (a.k.a spend your Monday nights baking cookies) or are interested in bringing it to your campus, contact Michelle at forrealdoughbakery@gmail.com.